Care2 Healthy Living | January is Radon Action Month. Here's What You Need to Know. January is Radon Action Month. Here’s What You Need to Know. Radon is a naturally occurring radioactive gas that can cause lung cancer. You can’t see it or smell it, which is why the U.S. EPA and other organizations encourage people to be on the lookout for it. January is Radon Action Month, which makes it a perfect time to find out if your home is contaminated with radon. If so, there are several ways you can fix the problem. Radon is the leading cause of lung cancer among non-smokers. 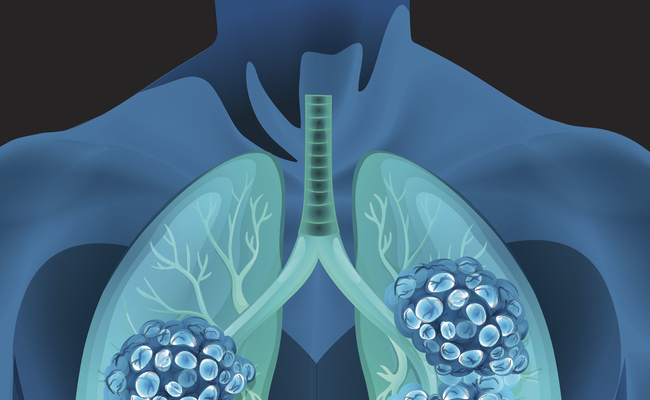 Although lung cancer can be treated, only between 11 and 15 percent of those afflicted with this horrible disease will live beyond five years. Smoking and secondhand smoke also cause lung cancer, but radon is the second leading cause. It’s responsible for about 21,000 lung cancer deaths every year. The U.S. Surgeon General issued this national health advisory on radon to encourage people to get their homes tested if they have any reason to believe it could be contaminated. Radon comes from the natural radioactive breakdown of uranium in soil, rock and water. It also can get into the air you breathe. Because it is a gas, it can easily get into buildings, including your home. How Do You Know if Your House has a Radon Problem? The only way to know for sure if you and your family are at risk from radon is to test for it. The EPA and the U.S. Surgeon General recommend testing all homes below the third floor for radon. EPA also recommends testing in schools. How Can You Test For Radon? Use a test kit or find a qualified radon measurement professional to do the test. The National Radon Program Services at Kansas State University offers discounted test kits for purchase online. The cost between $15 and $25 and will test for radon over both the short and long-term. Alternatively, you may be able to find a test kit at your local home improvement or hardware store. If you need to bring in a professional, you can use EPA’s Map of Radon Zones to find links to your state’s radon program, if one exists, or EPA’s regional contacts, which should be able to help you get in touch with the right contractors. What If You Find a Radon Problem? According to EPA, you will need to fix or mitigate the radon problem in your home if, through testing, you find that your radon level is confirmed to be 4 picocuries per liter, pCi/L, or higher. EPA says radon levels less than that amount still pose a risk, so you might want to err on the side of caution and still take steps to reduce radon in your home. If you smoke and your home has high radon levels, you are at a significant risk for developing lung cancer. To fix the problem, work with a qualified radon mitigation contractor. Before you start, you probably should get estimates from at least two contractors. In its handy Consumer’s Guide to Radon Reduction: How to Fix Your Home, EPA provides a very useful checklist that will help you do a good job securing a contractor and supervising the work. How the problem is ultimately fixed will depend on the kind of home you have and what the problem is. Some techniques prevent radon from entering your home; others reduce radon levels after it has entered. It’s generally best to prevent radon from getting in, perhaps by suctioning it out of your home or the soil surrounding your home and venting it to the open air, where it will dissipate. If you have a crawlspace under your home, the solution may be to cover the soil below with high density plastic, then suction the radon emanating from the soil below the plastic and send it out into the air. Sealing cracks and other openings in your home’s foundation may also help prevent radon from entering. Increasing ventilation in the spaces that contain radon will also help, though it’s not generally a permanent solution. Generally speaking, if your home has a basement or a crawl space, you should probably have it tested for radon. Again, the test is not expensive but the consequences can be extreme if the problem is ignored. Even new homes built with radon-resistant features should be tested after occupancy to ensure that radon levels are low. We tested for radon It was negative. Easy to get and do. Go for it! And here's a report from the Worcester Polytechnic Institute that says low levels of radon may actually reduce your risk of lung cancer.